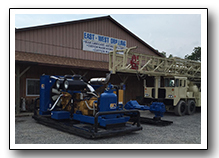 East West Machinery Exporting, Inc. was founded in California, USA in 1987 with over thiry years experience of buying & selling Drilling Rigs & Tooling, Heavy Equipment, Mud Pumps, Air Compressors, Engines / GenSets, and Parts, etc. We do what is needed to deliver high quality drill rigs, machinery, and equipment in best condition possible to our satisfied domestic & international customers. We stand behind the sales, services, finished machinery, and work we accomplish with our globally recognized high standing reputation in the market. 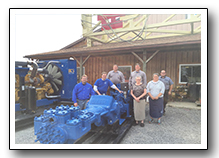 East West Drilling, Inc. founded in 2006 and was established as a division under East West Machinery Exporting, Inc. We opened our Mifflinburg, Pennsylvania USA facility in the year 2000. 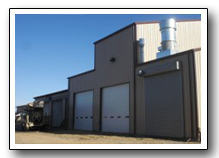 After we purchased the facility thereafter, we upgraded the facility with major renovations through 2007 - 2010 with a total of (14) work bays with more office & retail space, new professional paint & wash rooms, larger warehouse stocked with drill tooling, components, parts, and motors. We also installed a Geothermal system for cooling & heating the building. 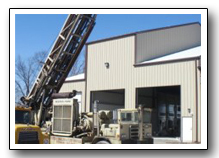 Through 2014-2016 East West Machinery & Drilling has purchased surrounding small properties and expanding our outdoor yard space with our growing inventory, full service shop, and more custom tooling available. >> View our 3 minute company video link on youtube to learn more about us.